Looking for an amazing scenic Virginia golf package? Well look no further than Bay Creek golf resort on beautiful Cape Charles! Featuring Arnold Palmer Golf Course and Jack Nicklaus Golf Course. Play 2 amazing rounds of golf and relax along the Chesapeake Bay and Eastern Shore. The Palmer course has 4 holes on the shores of the Chesapeake Bay to along with plenty of natural beauty throughout the rest of the golf course with the Old Plantation Creek and many sand dunes and beach bunkers. The Nicklaus course provides you with breathtaking views and acres of natural dunes. So, get your 4-some together for 2 rounds and 2 nights in a three bedroom/four bed condo and 2 extradionary golf courses located on Cape Charles. 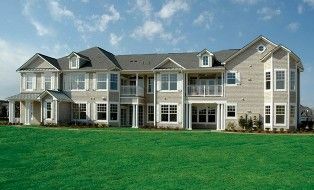 Bay Creek's Fairway Condos are located just a short distance from the Pro Shop. Each condo features three bedrooms and two full bathrooms. Condos are fully furnished to comfortably accommodate guests throughout their stay. Guests staying at the Fairway Condos will enjoy a fully equipped kitchen, living room, three bedrooms, two full bathrooms, porch and two care garage. Most condos are arranged to sleep 4 guests in separate beds. Two Night minimum required.